Though largely symbolic, the US Senate vote on Thursday dealt a fresh warning to President Donald Trump, who has staunchly backed the Saudi regime despite global uproar over the Yemen conflict and the murder of journalist Khashoggi. "The kingdom condemns the latest position of the US Senate that was based on unsubstantiated allegations and rejects the blatant interference in its internal affairs," the foreign ministry said in a statement released by the official Saudi Press Agency. On the Yemen measure, which more broadly attacks the president's prerogative to launch military action, 49 Democrats or their allies voted in favour, along with seven Republicans, while another three Republicans abstained. 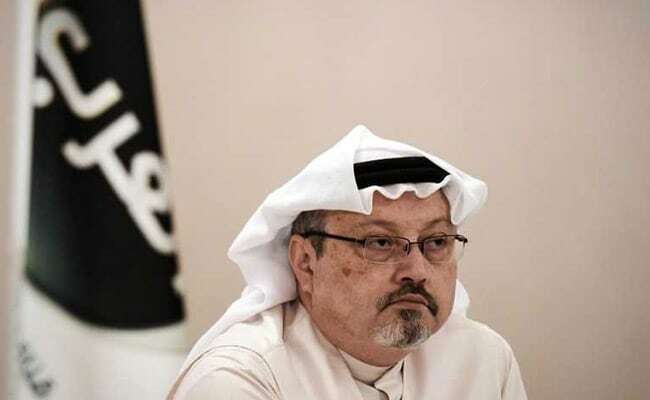 The Senate also approved a resolution condemning Khashoggi's murder and calling Crown Prince Mohammed bin Salman, Saudi Arabia's de facto ruler, "responsible" for it. The Saudi ministry warned that the kingdom would not tolerate any "disrespect" of its rulers. "This position by the US Senate sends the wrong messages to all those who want to cause a rift in Saudi-US relationship," the ministry said. "The kingdom hopes that it is not drawn into domestic political debates in the US to avoid any... significant negative impact on this important strategic relationship." The Senate resolution acknowledged the US-Saudi ties were "important" but called on Riyadh to "moderate its increasingly erratic foreign policy". The murder has tarnished Riyadh's international reputation, and Western countries including the United States, France and Canada have placed sanctions on nearly 20 Saudi nationals. UN chief Antonio Guterres on Sunday called for a "credible" probe into the murder. Anger at the human cost of the war in Yemen has also prompted a harder line in Congress about the US military's role in backing Saudi-led coalition strikes against Huthi rebels.